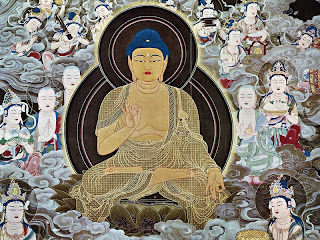 All we need to do for our attainment of Buddhahood in the Pure Land is mentioned in the Primal Vow of Amida Buddha: to say the Name in faith and wish to be born there. Nothing else. No meditation practices, no this or that special virtue, just entrust to Amida, say his Name and wish to be born in his Pure Land. 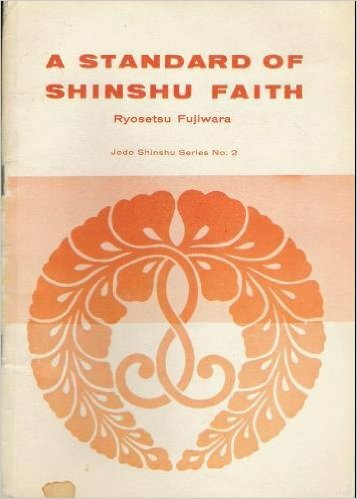 The essentials of our tradition are just these three conditions, which are comprised in shinjin or faith in Amida. 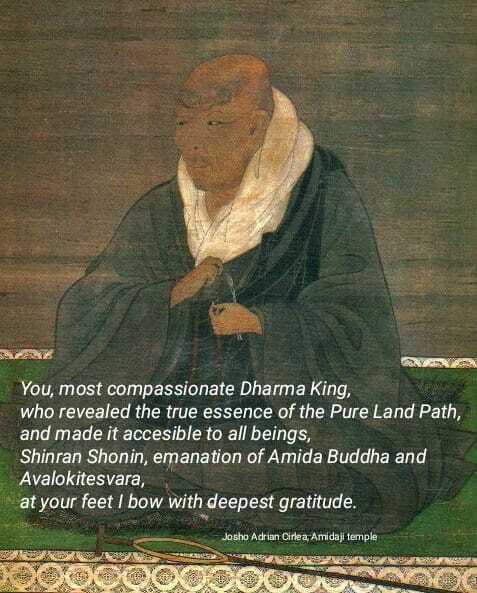 If you have genuine faith in Amida, then you naturally say his Name and wish to be born in his Land after death. It is as simple as that. Also, in order to have faith in Amida, you need to accept that he is a real and living Buddha, and in order to wish to be born in his Land you also need to accept that thisland is true and real. I think that everybody, even illiterate people, can understand this simple logic. 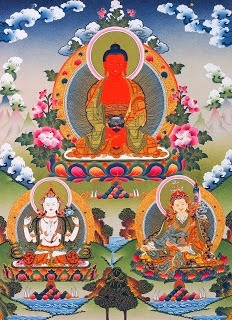 Now please, pay attention: to say the Name of Amida, and not of other Buddhas or religious figures outside Buddhism, to have faith in Amida and wish to be born in his Pure Land, not in the land of other Buddhas! This is extremely important. More than this, for us, ordinary unenlightened people, it is extremely important to be concentrated and focused on one thing only and not let ourselves distracted by many practices belonging to different teachings and even different Dharma gates. “That which is rejected as ‘various good acts done according to one's conditions’ is the attachment to one's own former practice. In serving as a retainer, for example, one should serve one's lord, depend on him, and wholeheartedly be loyal to him. Truly we have no time here in this unpredictable world where death can occur at any time (“life is like a flash of lightning or a dewdrop at daybreak, and the body like the plantain tree or a bubble”) to understand, to check or to combine diverse religious practices at once. And if we have already wished to be born in the land of Amida, why should we use the precious time we have until death with things not related with this birth? Why should we not insist further on listening the Dharma and deepen our understanding of Amida and his salvation? 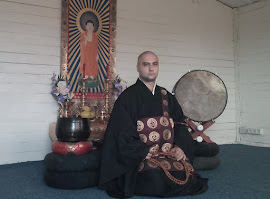 There is also no indication in the sacred texts that after we receive shinjin we should no longer give our attention to matters related with the Amida Dharma. I really do not understand those who sustain that they entrust in Amida but in the same time they engage in various practices not related with this Buddha. Truly, what faith do they have if they feel that Amida is not enough for them? I know it might be hard for some who are still attached to the previous practices they performed before they met with Amida Dharma, but I ask them to please always try to conform to the Primal Vow and abandon all which is not in accord with it. If they do this, they please Amida Buddha and all the Buddhas, including Shakyamuni, the historical Buddha. This is because all Buddhas praise the Name of Amida and encourage beings to say it and be concentrated on it, wishing to be born in that specific land. If they do otherwise, even if they think that thus they please as many Buddhas as possible, they in fact scatter their minds in many directions and fail to observe the intentions of all these Awakened Ones. 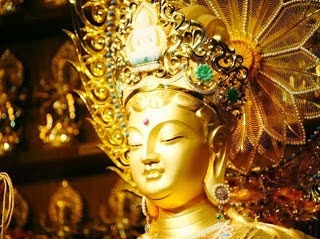 For example, if you notice that Avalokitesvara wears an image of Amida on the crown of her head, this should be an indication to you that this great Bodhisattva wishes you to say Amida’s Name and entrust in him. It is like she is saying to you, „Amida is my spiritual Parent and far greater than me, so please entrust to him”. 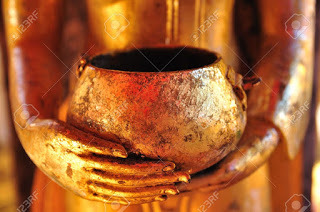 We take refuge in all the Buddhas. Also do not think that you acquire special protection or other spiritual or worldly benefits if you combine the saying of nembutsu with other sacred formulas or practices. 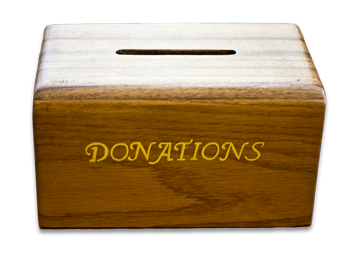 This is because all you need to receive is provided in the Name of Amida. Just say exclusively the Name of Amida and many spiritual blessings will naturally come to you. 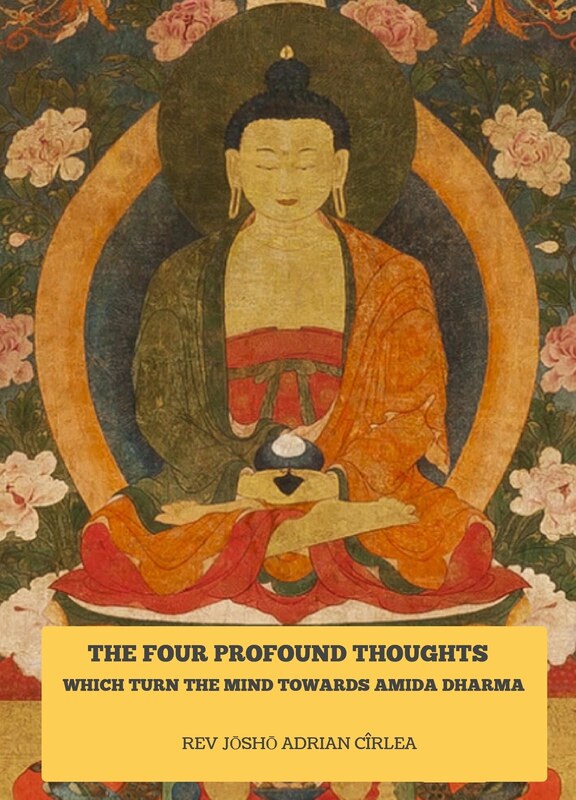 How can not this be the case, when all Buddhas praise Amida’s Name? What can have more spiritual benefits than a Name that is praised by all Buddhas? If all Buddhas praise the Name of Amida, why do you, a disciple of the Buddhas and a person who has attachments to many Buddhas, don’t do the same? 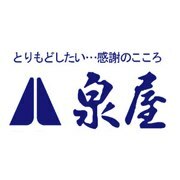 “Thinking on Yakushi Buddha is surely not like useless sleep. I still cannot understand praising one as single practice and rejecting the other as sundry practice." „My saying of the Name in grateful return for the Buddha’s benevolence is therefore unceasing; walking, standing, sitting, or lying down, I am never forgetful”. 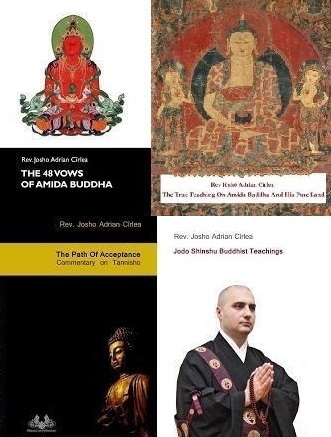 The expression „walking, standing, sitting, or lying down” is much spread in the letters of Rennyo and it also means that faith in Amida Buddha never disappears from the heart of the devotee who is thus concentrated exclusively on Amida Buddha. Such a disciple with true faith, even if he spends his daily life going here and there or being attached to this or that, he relies exclusively on Amida Buddha and he is thus in accord with the Primal Vow. “Singleness, again singleness” – that is nembutsu only. Can we practice meditation and mantras together with nembutsu? From “Dialogue on the Essential teachings”. Rennyo Shonin Ofumi, letter „On the Compassionate Vows of Other Buddhas”, page 60, in BDK English Tripitaka 105-II, 106-I, Numata Center for Buddhist Translation and Research, 1996, Berkeley USA. Rennyo Shonin Ofumi, letter „On the Present Plight of the world”, page 85, in BDK English Tripitaka 105-II, 106-I, Numata Center for Buddhist Translation and Research, 1996, Berkeley USA. "Words of Dharma - Sixty selections from the Sayings and Writings of Honen Shonin. A Translation of Go Ho Ga", translated by Dwight R Nakamura; page 9, The Pure Land Institute & The Arya Marga Foundation, 1994. 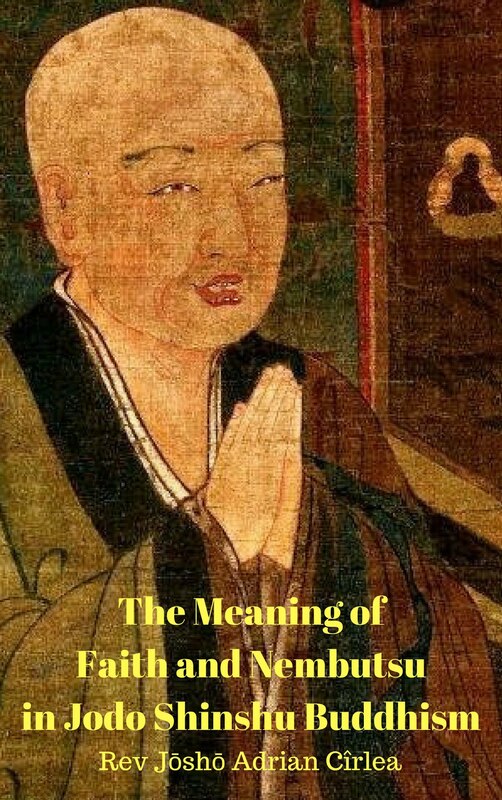 "Words of Dharma - Sixty selections from the Sayings and Writings of Honen Shonin. A Translation of Go Ho Ga", translated by Dwight R Nakamura; page 10, The Pure Land Institute & The Arya Marga Foundation, 1994. Rennyo Shonin Ofumi, letter „On the ‚Loyal Retainer and the Faithful Wife’”, page 44, in BDK English Tripitaka 105-II, 106-I, Numata Center for Buddhist Translation and Research, 1996, Berkeley USA. 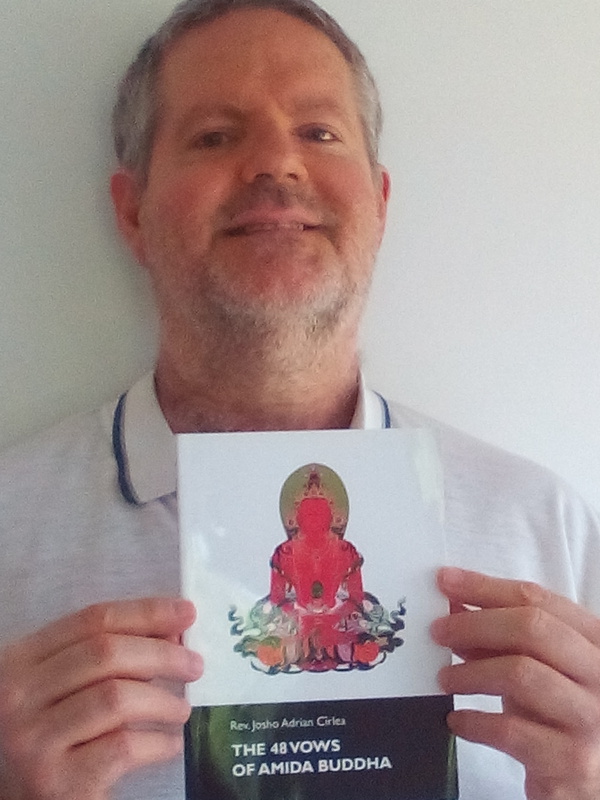 In relation with this, I already explained „The Ten Benefits in this Life of a Nembutsu practitioner” in my book, Jodo Shinshu Buddhist Teachings. Yakushi Buddha or the Healing Buddha presides over another land in the east and many Buddhist practices are related with him. He is very popular among and many people combine saying the Name of this Buddha with that of Amida, especially for healthy benefits. Rennyo Shonin Ofumi, letter „Reflections in Early Summer”, page 102, in BDK English Tripitaka 105-II, 106-I, Numata Center for Buddhist Translation and Research, 1996, Berkeley USA.